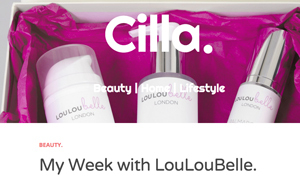 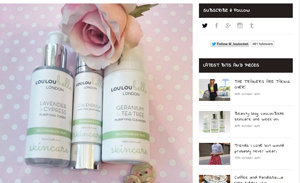 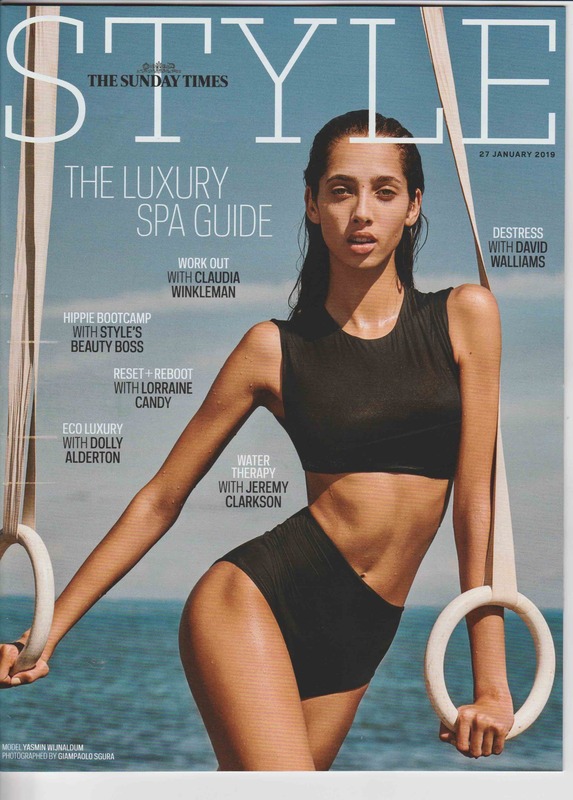 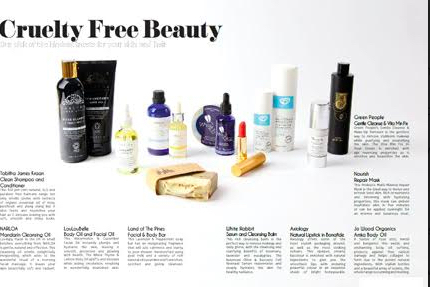 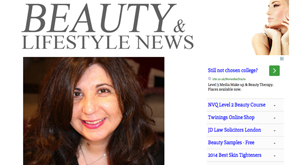 Here’s what the media and beauty bloggers are saying about LouLouBelle London … including top publications like The Sunday Times, Top Sante, Tatler and Vogue! 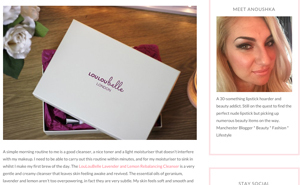 “This Watermelon & Cucumber Facial Oil instantly plumps and hydrates the skin, leaving it smooth, protected and glowing with health. 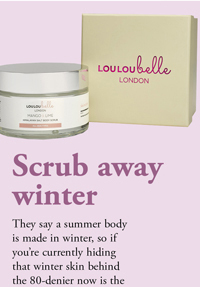 “We’ve been incorporating LouLouBelle London’s Mango & Lime Himalayan Salt Body Scrub into our beauty regime once a week. 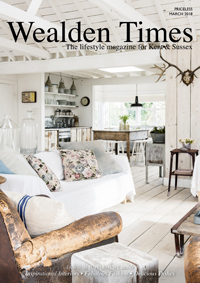 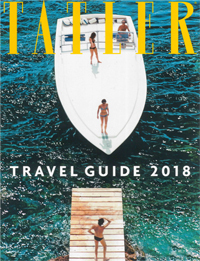 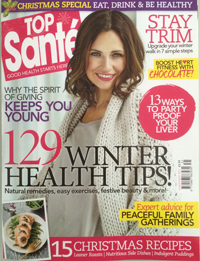 (Reproduced with the kind permission of Top Sante magazine – on sale now). 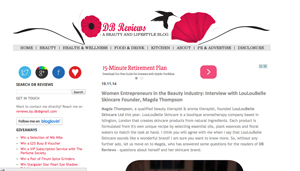 “Do you like the idea of a silky smooth body cream that’s packed with natural ingredients to help your skin to hold back the years? 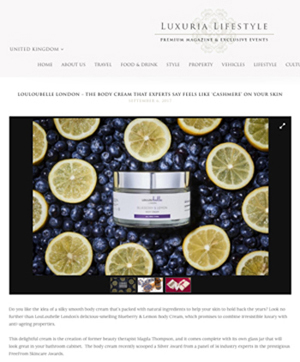 Look no further than LouLouBelle London’s delicious-smelling Blueberry & Lemon Body Cream, which promises to combine irresistible luxury with anti-ageing properties. 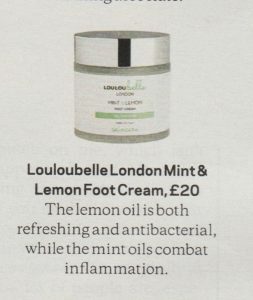 “Pamper yourself with LouLouBelle Skincare’s luxurious Body & Foot Gift Box, consisting of a moisturising and uplifting duo of Blueberry & Lemon Body Cream (200ml) and Mint & Lemon Foot Cream (100ml). 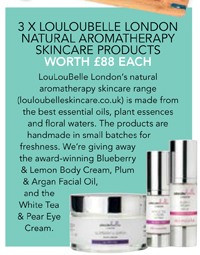 “LouLouBelle London White Tea and Pear Eye Cream – This company uses natural ingredients in its aromatherapy skincare products. 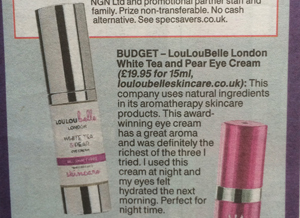 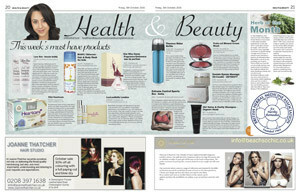 “Refresh your eyes this party season with LouLouBelle London’s luxurious new White Tea & Pear Eye Cream. 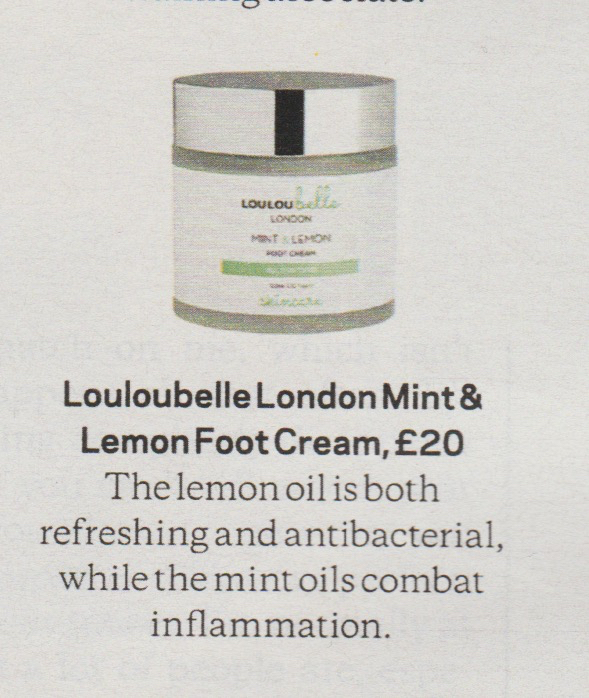 “This light eye cream revitalizes by hydrating the area around your eyes, leaving skin looking and feeling clearer, softer and smoother. 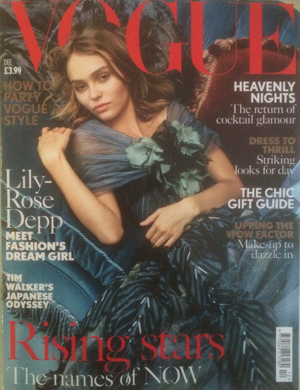 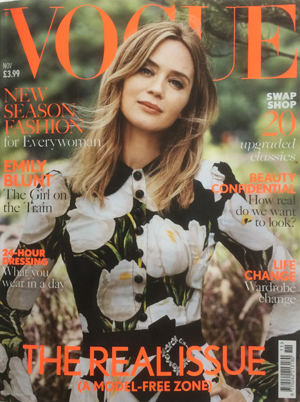 VOGUE MAGAZINE – November 2016 issue. 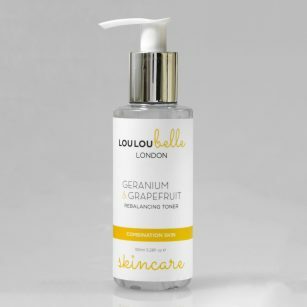 “With tantalising blends like Geranium and Tea Tree, Lavender and Cypress and Palmarosa and Patchouli, LouLouBelle London is a boutique aromatherapy brand that uses natural ingredients to help make your skin feel great and smell delightful. 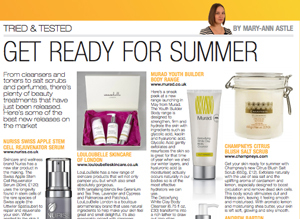 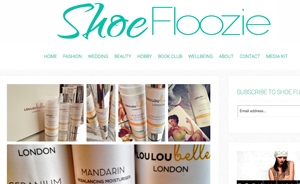 “It’s also reasonably priced with cleansers (100ml, £19.95), toners (150ml, £17.95) and moisturisers (50ml, £24.95). 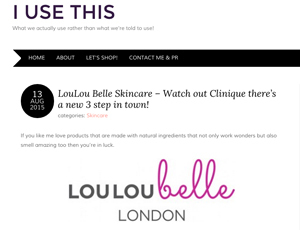 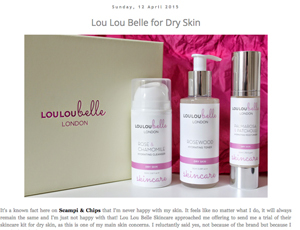 “Over the last two weeks I’ve ditched my usual Clinique 3 step programme to try out LouLouBelle’s Dry Skin Face Set which includes Cleanser, Toner and Moisturiser. 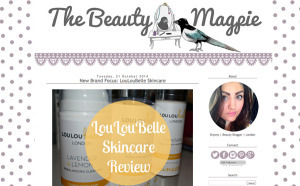 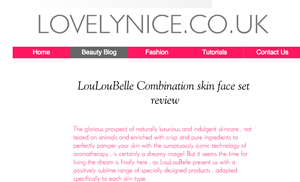 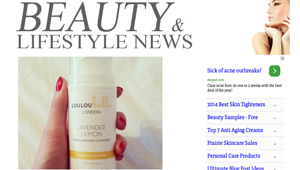 “The LouLouBelle Lavender & Lemon Rebalancing Cleanser is just gorgeous. 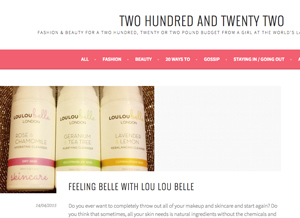 First of all I love any skincare products that have a citrus scents, I just find them very refreshing to use. 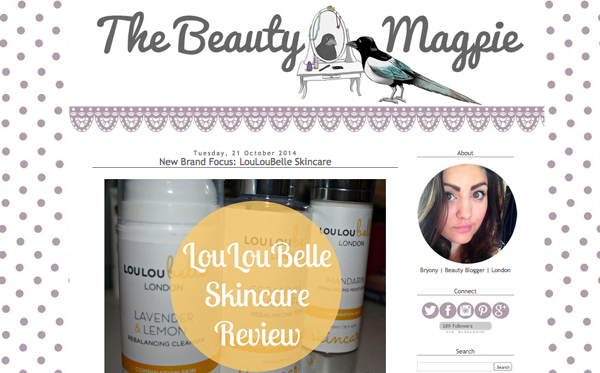 “The LouLouBelle Lavender & Lemon Rebalancing Cleanser is a very gentle and creamy cleanser that leaves skin feeling awake and revived. 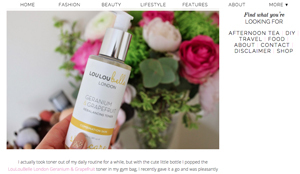 “I actually took toner out of my daily routine for a while, but with the cute little bottle I popped the LouLouBelle London Geranium & Grapefruit toner in my gym bag, I recently gave it a go and was pleasantly surprised as to how refreshed my skin felt afterwards, instead of tight and in need or moisturiser. 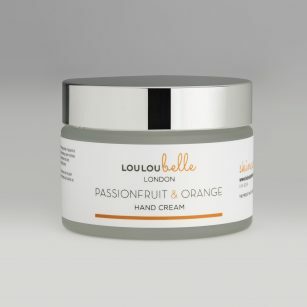 “Launched earlier this year by former PA Magda Thompson, LouLouBelle is an aromatherapy brand specialising in natural skincare products made from unique blends of essential oils. 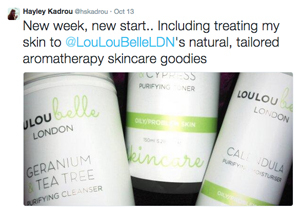 “When my cleanser arrived I couldn’t wait to start using it as the packaging reflected the brand perfectly. 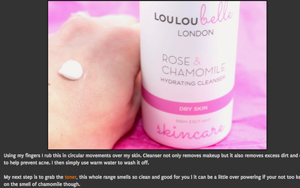 Retailing at a mid-range price of £19.95, I saw the cleanser as an absolute steal considering the brand’s natural and health orientated ethos. 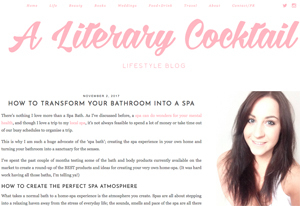 “Each product is formulated from it’s own unique recipe by selecting essential oils, plant essences and floral waters to match the task at hand. 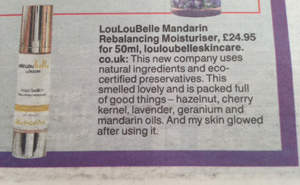 “I used the Mandarin Rebalancing Moisturiser as a day cream, it worked well to soften the skin and leave it feeling fresh. 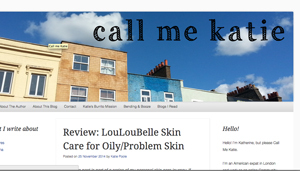 It’s a lightweight cream so your skin isn’t left feeling greasy. 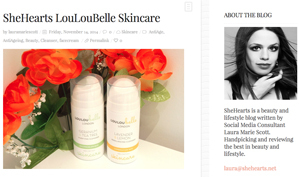 “LouLouBelle was founded with the intention to create beauty products that care for the skin in the most highly effective way, plus they smell absolutely delicious!